Using APKPure App to upgrade Legend of Ace, install xapk, fast, free and save your internet data. Welcome to Legend of Ace, the next generation mobile MOBA game! Enjoy full classic MOBA experience in 5v5 battles. Innovated design allows for more heroes' skill combinations, more strategies, and more ways to play in fast-paced gameplay. Team up with your friends and challenge opponents around the world now! Select from various heroes for free and test your skills in well balanced game. Enjoy innovated and thrilling gameplay anywhere, anytime. 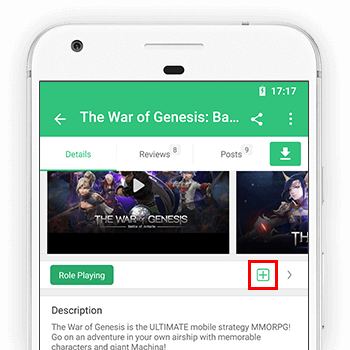 Each hero can play various roles on the battlefield by combining different skills and play styles. Adapt to the tide of battle with different tactics and strategies. Learn what is happening across the map in real time, whether it's jungling, tower rushing, or ganking. Destroy enemy towers and slay wounded targets in massive battles. Enjoy desktop class gaming experience with precise control. Quickly match to find teammates and plan your strategies. Block damage for your teammates, control enemies and heal your allies. You are an essential part of your team. Complete tasks to unlock achievements and earn special rewards. Show off your strength with your Achievement Points and statistics on the World Ranking!